On the road again! The drive thru Sedona was breathtaking! Red rocks, red hills, and beautiful views. We are staying in Trailer Village in the National Park. On the road in, we stopped at the Desert View and climbed the Desert View watchtower. We stopped at a couple of other places along the way, and a couple of elks stopped us on the road. Mary and I are taking some time out to do our laundry this afternoon. I am missing the washer dryer we have in the big Elkridge at home! 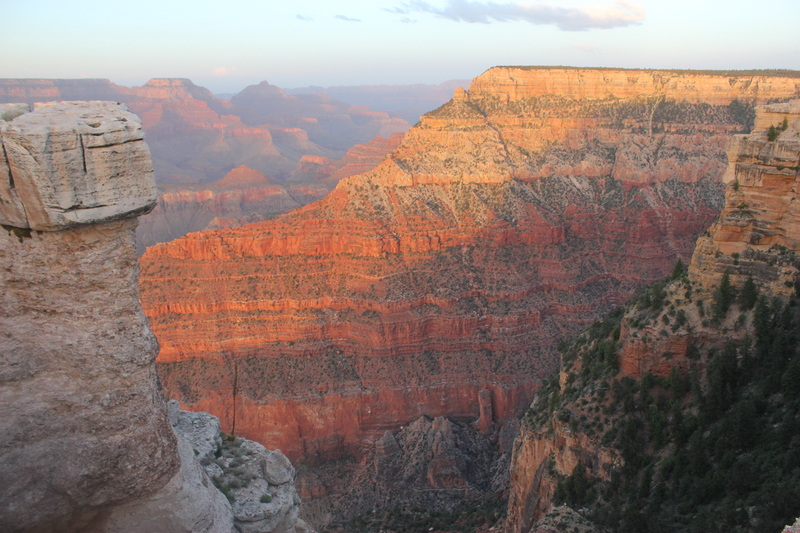 The day ended with a beautiful sunset at Mather Point. Day 2. Sunrise pictures were at the top of our list this morning, I woke up at 4:45 to get ready. After looking at our map, it was decided that we should hop a shuttle to go to the other areas we wanted to view. We took the shuttle all the way to Hermits Rest. Stops were made along the at other scenic points along the way.